Directed by Baz Luhrmann. 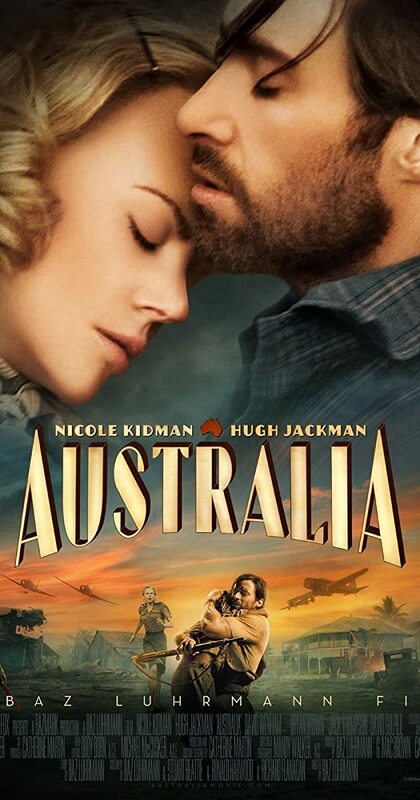 With Nicole Kidman, Hugh Jackman, Shea Adams, Eddie Baroo. Set in northern Australia before World War II, an English aristocrat who inherits a sprawling ranch reluctantly pacts with a stock-man in order to protect her new property from a takeover plot. As the pair drive 2,000 head of cattle over unforgiving landscape, they experience the bombing of Darwin, Australia, by Japanese forces firsthand.